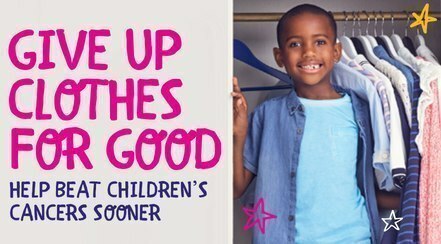 Donate unwanted clothes to TK Maxx today and help beat children's cancer sooner! Bag up your old clothing, accessories and quality homeware and bring it to TK Maxx. Since 2004, you have helped TK Maxx raise an incredible £30.3 million for Cancer Research UK’s work through stock and cash donations. Of this, over £26.3 million is supporting research into children's cancers specifically and £4 million is supporting general cancer research. You can help beat children's cancers sooner by donating a bag of unwanted clothes, accessories and quality homeware to TK Maxx at Riverside Shopping Centre and help raise funds for Cancer Research UK Kids & Teens. Simply look for their donation points in-store!